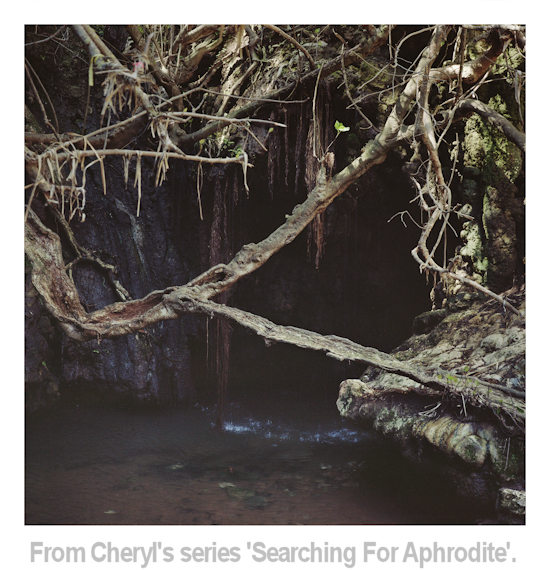 Since our first interview, which you can find here, Cheryl's career has taken a new, different direction. 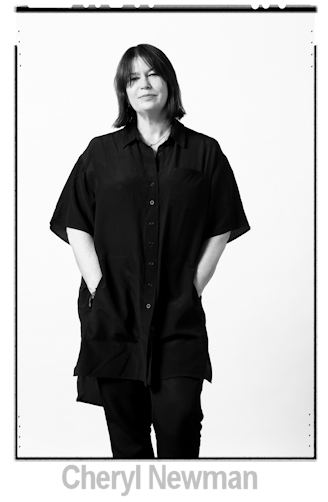 No more working on the same old picture desk preparing images for a magazine, now her office could be anywhere in the world, as she travels around the globe curating exhibitions, presenting workshops and consulting on photography. In our interview Cheryl tells us about her new working life. Why did you decide to leave the Telegraph? That decision was made for me! Unfortunately, along with many of the magazine team I was made redundant in December 2014. You’re now an artist, curator and photography consultant. What has led you in this new direction? Being made redundant was initially a bit of a shock, but once I got used to the idea it was life-changing on many levels. I stayed on for a few weeks so wasn’t the short-sharp-shock it could have been. Often you are left clearing your desk and leaving pretty much immediately which is very tough. As I came away with a little cash it allowed my incredible disabled daughter to go to the US and study which she had dreamed of doing for some years. Her bravery also inspired me to change my path away from editorial. I’m so glad I did as there is very little quality editorial left in the UK. I knew that I would continue to work in photography as I’m still as obsessed as ever and I intended to take a little time out to re-evaluate what I would like to do and how I could make it happen. However through the support of photographer and friend Marcus Bleasdale who continues to support my career, I was lucky to walk into a wonderful project immediately. The Queen Elizabeth Diamond Jubilee Trust was commissioning, ‘Time to See ‘, an exhibition and book project documenting avoidable blindness within the commonwealth. I worked with Poulomi Basu, Sam Faulkner and Ashley Gilbertson amongst others on projects in India, Pakistan, Kenya and Nigeria resulting in a beautiful book and touring exhibitions including one for Her Majesty the Queen at St James Palace, another in the Palace of Westminster, a State dinner with her Majesty the Queen and Heads of Commonwealth in Malta and the show is still travelling globally. Was all very grand and ‘life after Telegraph’, affirming! This then led directly into a project I’m working on with the Gaia Foundation documenting small family and peasant farmers globally. Forgive the pun but from small seeds this has grown over the past couple of years and we will have 50 photographers in our exhibition that premiers in London in 2018. It’s been a joyful experience as I am working with some of my heros and finding amazing emerging photographers locally. This weekend I’m waiting to see a shoot with an ex-gangster turned farmer in LA from Stefan Ruiz, a young female Slovakian farmer photographed by Tina Hillier, portraits from Kenya by the artist Omar Victor Diop and a shoot made in Dorset by the amazing Sian Davey. It’s a powerful, beautiful and positive project that will challenge people to look at how food is produced. Did you know that right now 70 per cent of the worlds food is produced by small local farmers. My buzz word for 2017 is agroecology! What kind of work do you do as a consultant? As a consultant, my role is varied. I am very happy to work with individuals or large companies. Jon Jones ex Sunday Times and I are consulting on a photography prize in Australia which is fun and I am working with a couple of magazines including the really cutting edge PYLOT magazine which is a mix of art, documentary and fashion and all shot on analogue. I’m also working with a couple of photographers developing their work for exhibitions. I’m happy to consider anything in case anyone reading this is looking for help. You also run workshops, what are these about? Ah, the workshops are amazing and I love the intensity we get over the five days of talking, planning and shooting. I do twice yearly workshops in Oslo with The Bilder Nordic School of Photography on storytelling and another on fashion to which I bring amazing photographers who have included Nadav Kander, Tim Walker and Brett Lloyd. I also run a three-month mentor programme in Norway and have plans to develop this is the UK. Tim Richmond and I also have smaller more intimate workshops based at his beautiful home in Somerset looking at the English landscape though slow photography as both Tim and I shoot on film and use large or medium format. This is a revelation to photographers who are used to shooting 300 images an hour on digi. There’s lots of chat and plenty of good wine. You travel the world as a curator, how does this differ from being an editor? Last year I curated an international exhibition in India as part of PondyPHOTO 2016 on the theme of water. 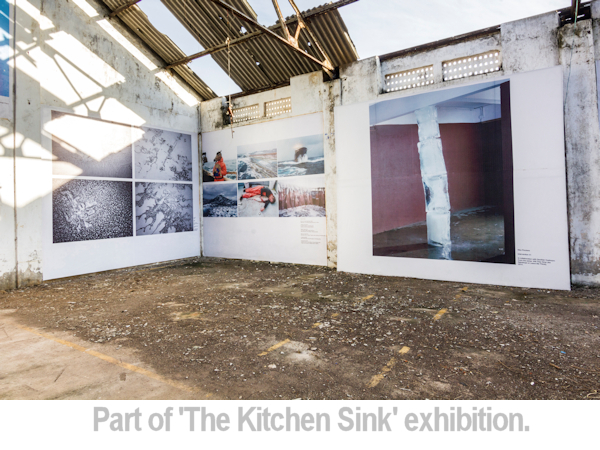 I named my exhibition, ‘The Kitchen Sink’. It was inspired by Nigel Shafran’s photographs of washing up. It looked at the festivals theme of water from a different perspective and I mixed it up a bit with great works from renowned photographers including Simon Roberts, Mitch Epstein, Alessandra Sanguinetti, Marcus Bleasdale and Tom Hunter. The big difference is that you get to go to amazing places but you spend so much time working in isolation. I do miss my team on the desk but travelling globally is a treat. It’s such a buzz when your ideas go from the first view of the images to the gallery wall but it can take some time to get there. It must be quite different to work for yourself after so many years as an employee? It really is! I mean really. The most important thing for me is to keep relationships going, make new ones and to still feel relevant and contemporary. Psychologically I find it important that I meet photographers regularly as working from home can be isolating. I very much enjoyed the structure of office life and I am looking for a studio space to base myself from. What’s the best part of your new professional life? Right now, working on my own practice is the most exciting part of my new life. You attend many exhibitions and shows; do you have any plans for your own photography events? I just had a show of my own work in Pafos, Cyprus as part of the programme for the European capitol of Culture. 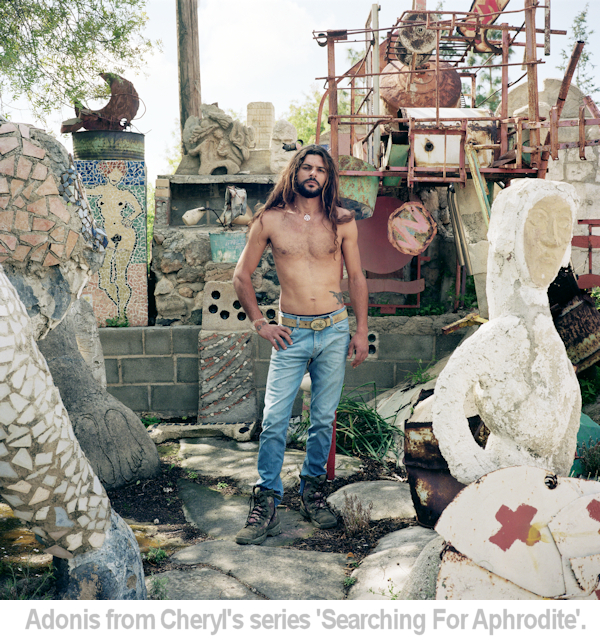 I exhibited part of an ongoing project looking at the myth of Aphrodite through a contemporary sometime abstract approach exploring still life, portrait and location images of archaeological sites. The work was mostly made in Cyprus and specifically in Pafos in the South of the Island. The series also includes places of my own personal romantic encounters and adding my own love story among the already known fairy-tale in myth form. As Aphrodite was born very close to Pafos it was a perfect home for it to be premiered. I’m also the curatorial director of PondyPHOTO and in 2019 the theme is ‘WOMAN’. I want the festival to provide a unique opportunity to harness the creativity of women globally and to create something very special in Pondicherry and the festival will be a platform for artists and curators to use the power of the photographic image to explore female identity, challenge conventions and confront the complex relationships women experience in 2019. I love Pondicherry and have been visiting for more than 20 years so it’s a dream come true. Has your opinion of photography changed since you moved on to this new phase of your career? I am more involved with photography than ever. I suppose what’s changed for me is that photographers used to approach me all the time, now I must make more of an effort to go out and find them. I try to go to as many events as I can, see exhibitions, read mags, visit festivals and generally try to keep up with trends in contemporary art and storytelling. This year I’ve attended to Rencontres Arles, Visa Pour L’Image, Unseen and Paris Photo, London Photo as well as reviewing here and there doing some judging and some talks. Photography is constantly changing, developing and right now I see the lines between documentary and arts photography becoming even more blurred as photographers find new ways to tell stories and explain the world around them. Photography seems to have become a more three-dimensional practice which I find very exciting. I consider myself super lucky to be able to work with both the photo journalist and artists producing gallery based work. Yours is a professional life lived for the image. Does photography play a part in your down-time too? Now I’m also working on my MA final year I live sleep and breath photography. I go to see exhibitions at the weekends and openings are my social life and not just for the free wine. Instagram is the last thing I look at before I go to sleep. How sad is that! I buy photo books not shoes! Do you feel your future career will ever move in another new direction? 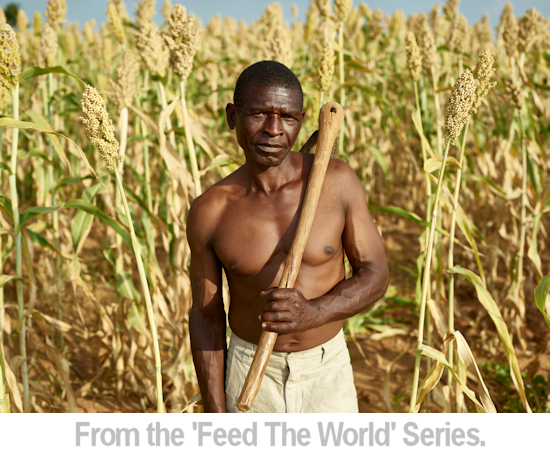 Feed The World image © Pieter Hugo. Other images © Cheryl Newman.